To deliver elite commercial lawn maintenance to businesses, Blue Skies offers a broad range of services designed to meet your individual needs. After discussing your project with the professionals at Blue Skies, well develop a lawn maintenance contract that fits your companys specific requirements. Whether you are looking for a bid on an existing plan or need help developing a custom design, we can give you a landscape tailored to fit your individual needs. From small courtyard designs to master landscapes for commercial premises, there's no project beyond the scope of Blue Skies. 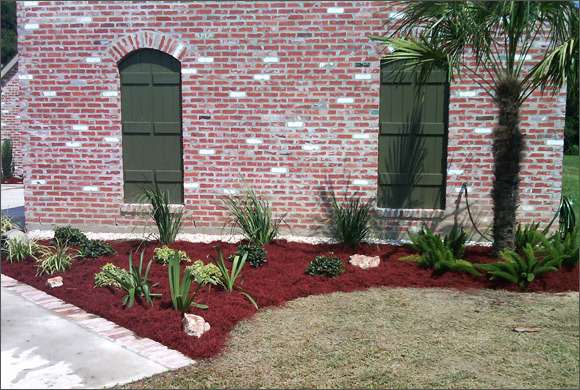 Well assist you in everything from your choice and placement of plants to mulch and annual flower replacement. A properly maintained landscape requires effective irrigation. Blue Skies will develop and install an irrigation system designed to meet your specific needs. Our planning ranges from comprehensive coverage of your entire property to watering a single flower bed. We can also perform repairs to existing irrigation systems. Because improper drainage can be costly to your lawn, Blue Skies will solve your drainage problems and implement a plan to correct them. From French drains to catch basins, we can install drainage systems of any size or type to fit your lawn. 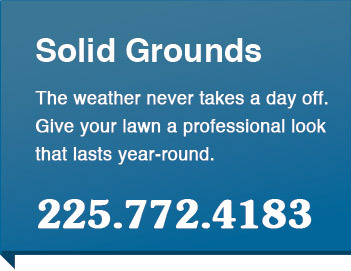 Call Blue Skies today to develop a custom commercial lawn maintenance plan for your business!